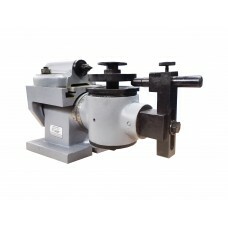 The device is intended for sharpening of gear cutter to GOST 10059-80 and 9323-79 on the front surface. The sharpened helical groove is installed directly or on a mandrel into the spindle of the device. The spindle rotates at an angle corresponding to the angle of inclination of the teeth. With the help of the stop and the latch with attachments (corresponding to the modulus of the dolbyak), orient the dolbyak. 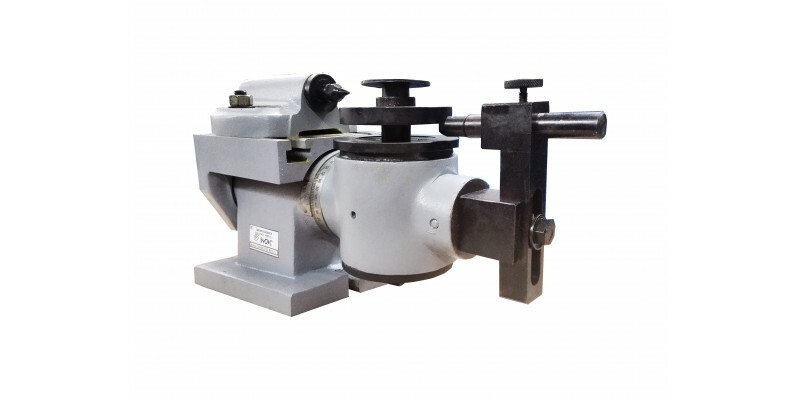 The axis of the grinding wheel is positioned horizontally and perpendicularly to the direction of longitudinal movement of the table. Sharpen the current tooth. Remove the retainer, divide into a tooth, insert the fixator into the cavity and sharpen the next tooth. Angle of rotation in the vertical plane, deg.